We're all about keeping our Guests in the know, and with that, there are few things we think you should know about brunch. First of all, we have it. Secondly, we have it every Saturday and Sunday until 2:00pm. And lastly, we have a little something tasty for everyone. Bonus knowledge: our entire drink menu is available during brunch. Join us for $4 Classic Mimosas! Topgolf serves responsibly and in accordance with local and state regulations, including serving hours. 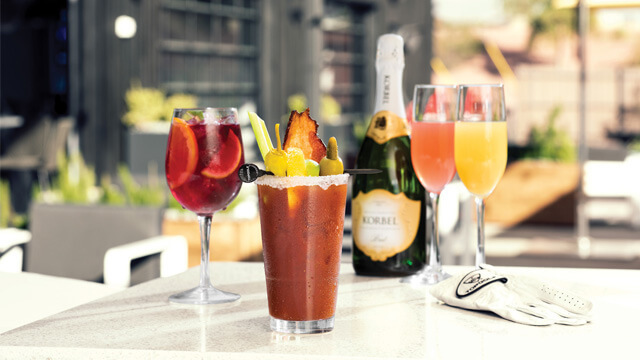 Brunch is now being served at Topgolf Alpharetta, Edison, Gilbert, Hillsboro, Spring, Tampa, The Colony, and Tucson.